Farmhouse Cheddar, Gouda, Monterey Jack, Feta, Cottage Cheese, Colby, Cotswold, Leicester, and Ricotta. It can be used to make many of Gavin’s video recipes as well like; Caerphilly, Sage Derby, Leiden, Edam, Havarti, and Traditional Cheddar. Purchase this product now and earn 51 Little Green Points! 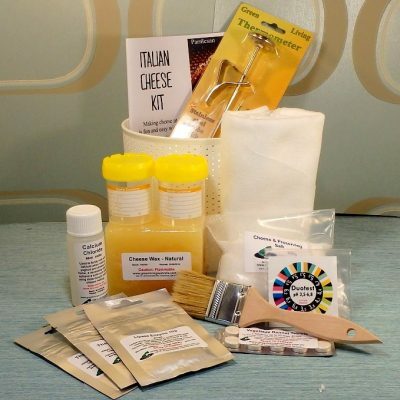 This is a beginner cheese making kit, which is ideal for those with no cheese making experience. All of these cheeses use the same culture, containing a total of 24 doses. You can make all of the cheeses, or make your favourite cheese 24 times! 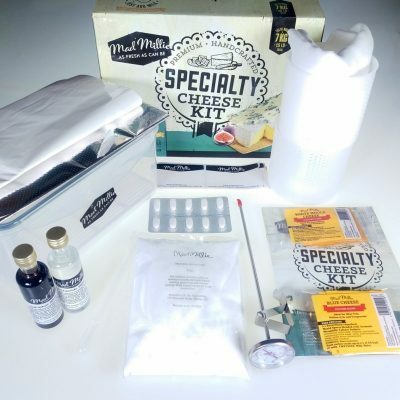 Bonus recipe: You can also make Gavin’s favourite Traditional Cheddar cheese with this kit. Check out the video tutorial below. Contained everything as stated. So useful to give a confidence boost and get me up and running. Here’s to a future in cheese making. Thank you, Gavin. 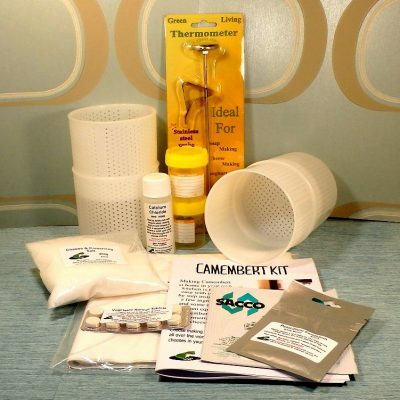 Contains the small essentials you need to get started. Pressed my first ever cheese and can’t wait for it to mature. 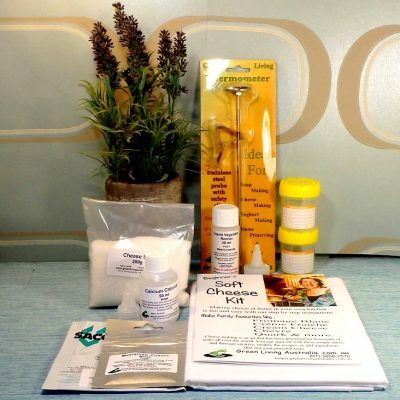 Instruction booklet is simple and easy to follow. 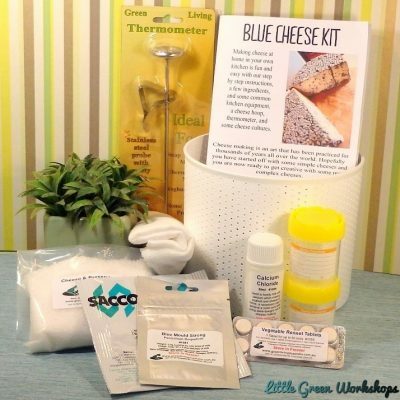 This kit was a great start to my cheese making journey. 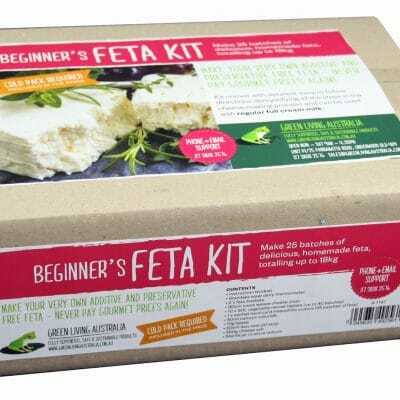 I very quickly became hooked and have already made a wide range of cheeses. Have now done 4 cheeses but have to wait for them to mature. 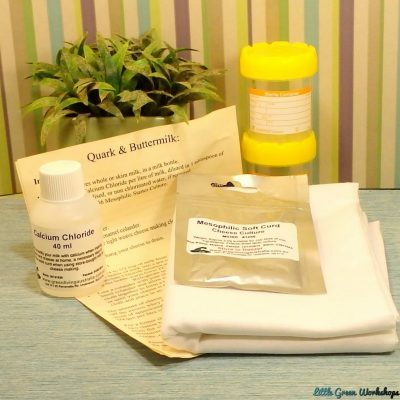 Only thing I would like is a larger cheese cloth and square in shape also could do an extended kit (or addition with the thermophylic,Swiss cheese culture and lipase in it as well as a top-up of WAX and cheese cloths or the tight weave cloth. 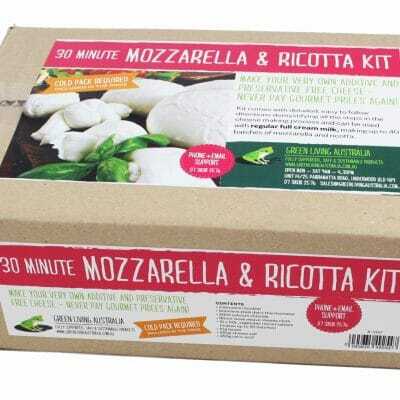 Best hard cheese kit on the market. 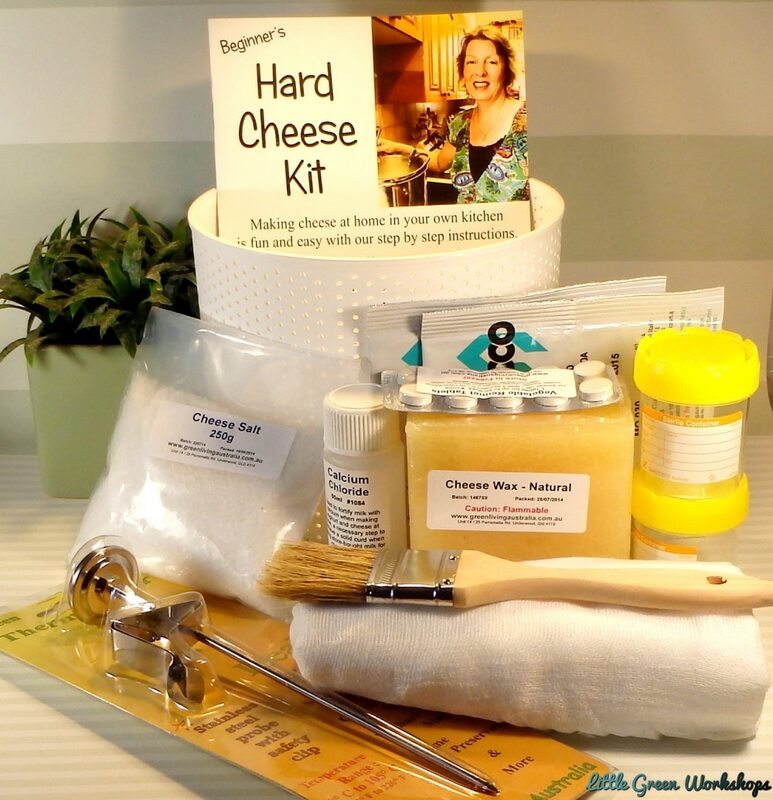 I’ve made so many semi-hard and hard cheeses with this kit. My family love the cheese. Works well with the cheese press.